I downloaded a free pedometer app to my smartphone. I also have audio books on my phone. The pedometer tracks my steps and plots them showing my progress. 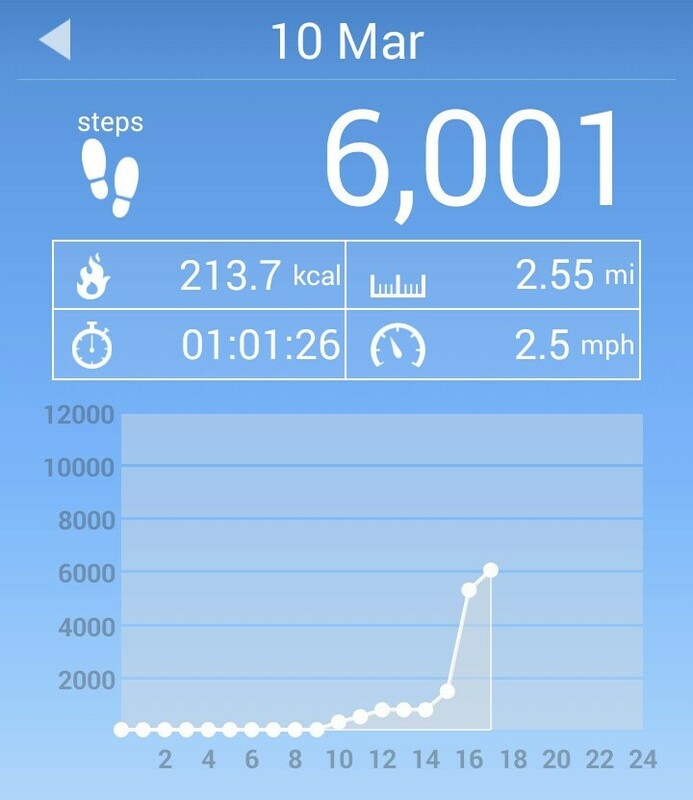 Today, I walked two miles or 6,089 steps according to the pedometer while finishing a book. My blood pressure went from 140 to 107 in that two mile walk. From my driveway to my son's driveway is exactly 1 mile so I walked there and back. When I got home, I took my blood pressure. It read 105 over 75. I took it again. It was 108 over 75. I'm usually in the 140 range. I guess I'll be walking that mile for the rest of my life. The first image is from my cell phone showing the app and my walk today. It tracks steps from day to day. 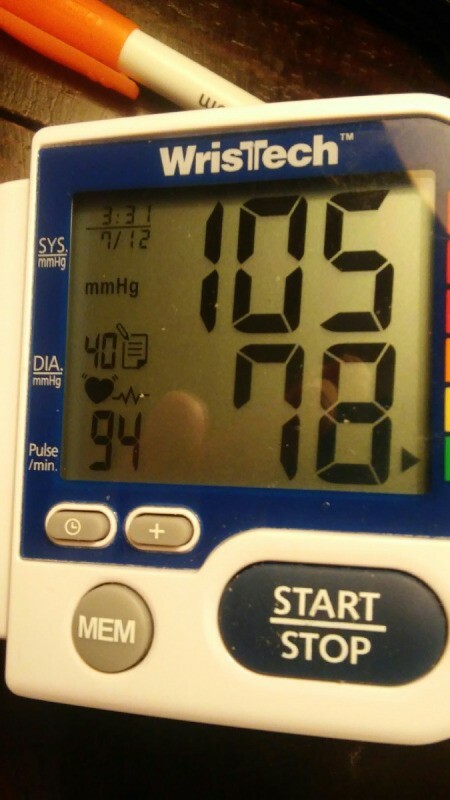 The second image is a picture I took of my blood pressure reading after the walk. The blood pressure machine has always shown the wrong date. I can't remember how to change it. Next, I guess I'll work on my mind! You must have some preconceived notion that this daily ritual of ambulation will inadvertently, or through direct cause, help extend, for an undetermined amount of time, your tenure here on this spaceship we call Earth. Well, if you do, you are correct! May your walking add many years, nay, many good years to your lifespan. Thanks for sharing your story and for giving me some much needed inspiration. Can you give the name of the app you used please?